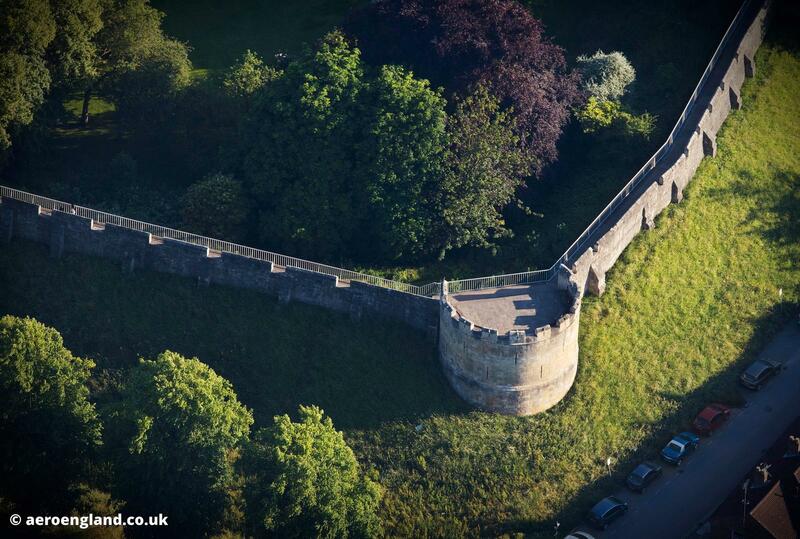 aerial photograph of Robin Hood Tower on the York City Walls. 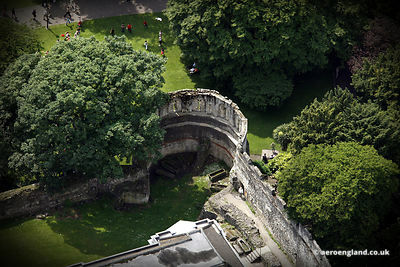 Originally built by the Romans as part of their fort, the walls were maintained and rebuilt throughout the middle ages. 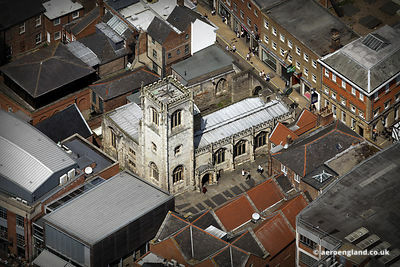 The town was occupied by the Danes during the dark ages and they demolished and rebuilt Robin Hood Tower.